What’s up, Nomsters! 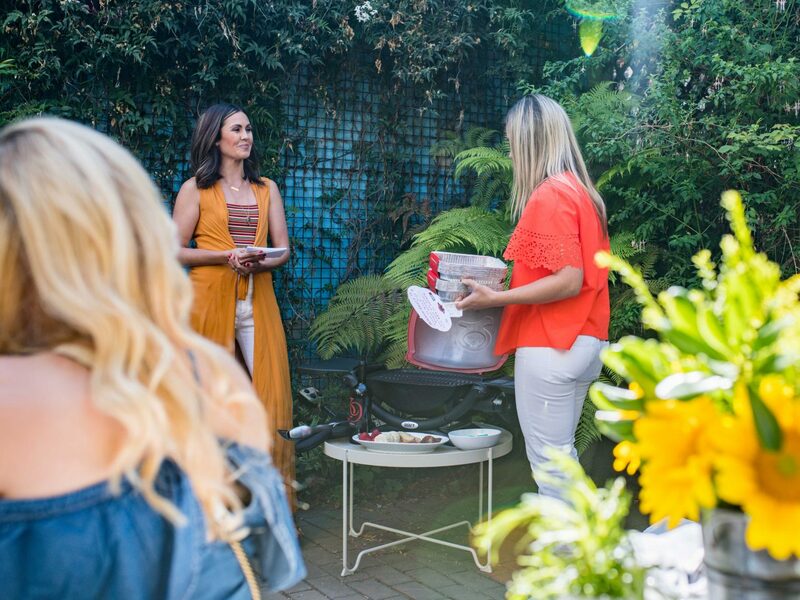 I recently had the awesome opportunity to hang out with some fellow foodies in a cute little backyard garden in San Francisco, CA and sip on some absolutely delicious wines while feasting on some juicy steaks and apps in collaboration with Line 39 Wine and Weber® Grills! 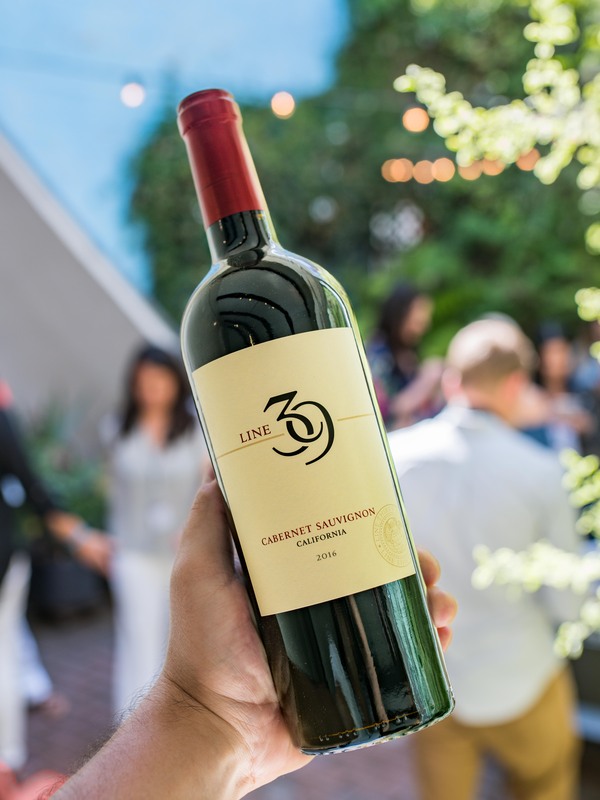 For my friends and me, Line 39 Wine is synonymous with summer, warm evening barbecues, sharing moments, and creating unforgettable memories. There’s a Line 39 Wine to pair perfectly with any backyard BBQ food you can think of, so when the weather gets nice and we’re all out in the backyard firing up our Weber® Q 1200 portable gas grill, having a selection of Line 39 Wine is a no brainer. 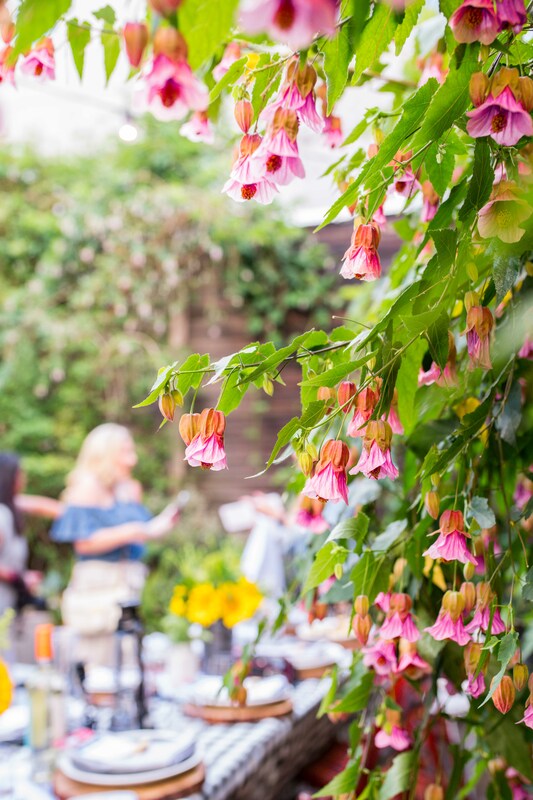 I was really impressed with how the event was arranged because the hosts did A LOT of the little things that I normally do when hosting a backyard BBQ to really give the get-together some extra, memorable touches. 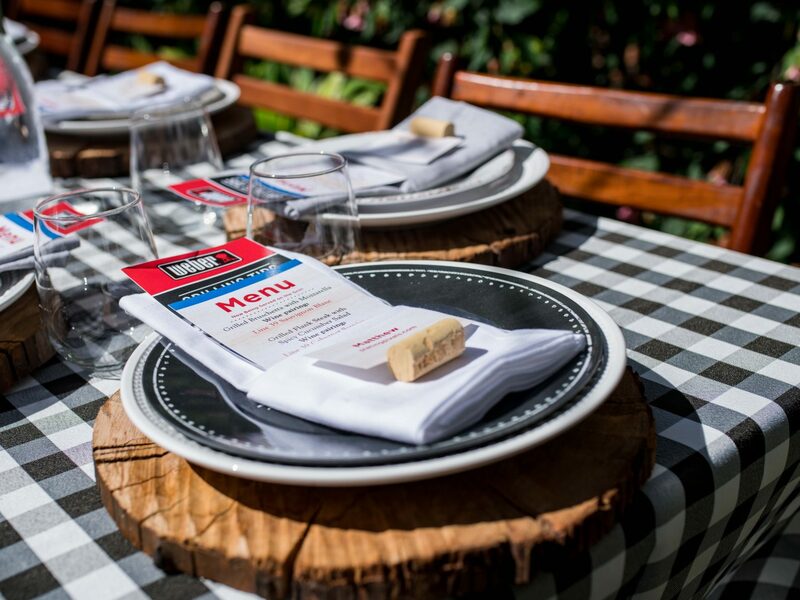 For a standout BBQ, like in a restaurant, it’s important to provide the guests with a fun overall experience, and as daunting as that may sound, seriously anyone can do it without spending very much extra time or breaking the bank. I’m excited to give you my pro tips to make your next backyard BBQ a huge success, so let’s jump right into it! First off, the event was so much fun! There was lots of great company and even more great food and drinks to indulge in. 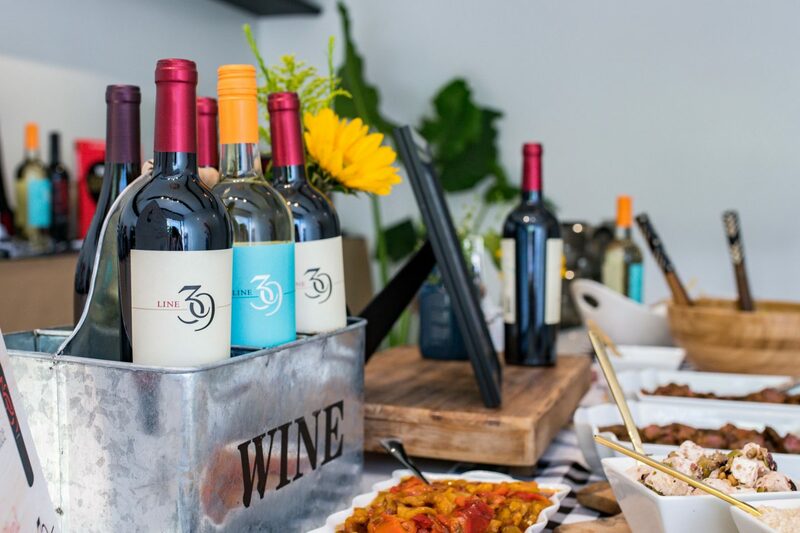 Line 39 Wine and Weber® Grills definitely know how to throw down a legit barbecue. 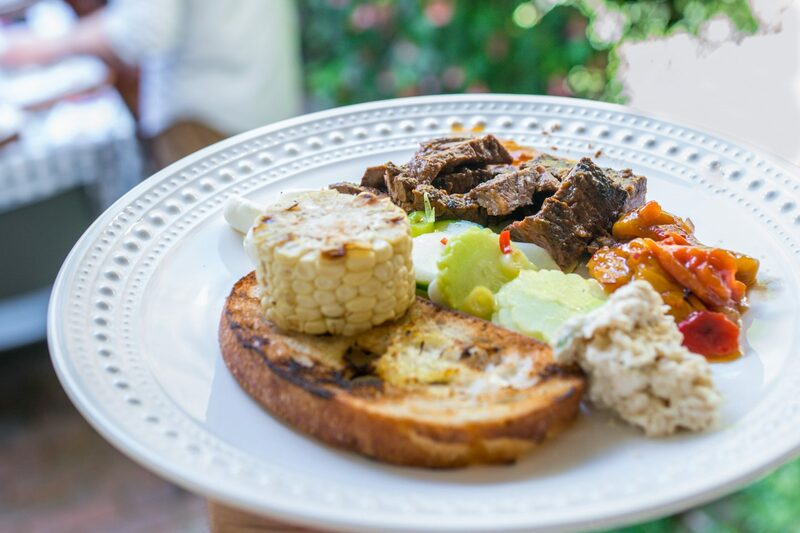 The food was all lined up on a table just inside from the garden, and were the perfect dishes for snacking on while walking around and socializing. The main course is always important, but don’t forget the small bites that people can snack on and throw onto a smaller plate to carry around with them as they move around and talk to different people. And I’m not talking about chips or those mediocre assorted veggie party platters. Sure, you can have those, but that’s what everyone does, and we’re not basic, right?? I suggest taking your barbecue to the next level with amazing appetizers like fresh tomatoes and mozzarella, grilled and sliced chicken with lemon pepper, grilled bell peppers, and sliced grilled corn on the cob. All of those are super easy and quick to make and can be prepared beforehand so you can focus on the main grillin’ once everyone’s there. This is a big one! Most of the backyard BBQ’s that I’ve been to have a cooler or two full of beers, and it’s usually just a 30 rack of whatever they found at the nearest grocery store. While there’s nothing wrong with a good beer (keyword: good), why not raise the bar with some solid wines that can be paired with some of the small bites you prepare from Pro Tip #1? Remember how I said you can really up your backyard BBQ game by providing a whole experience? This is how you do it. Simple and easy wine pairings not only class things up, but much more importantly, they allow you to create a much deeper experience for your guests, especially if you give them a super brief overview of how the pairings go. Need some help getting started? I got you covered! Just follow my lead with the pairings below and even a total beginner will be able to dazzle their future barbecue guests. Let’s go! 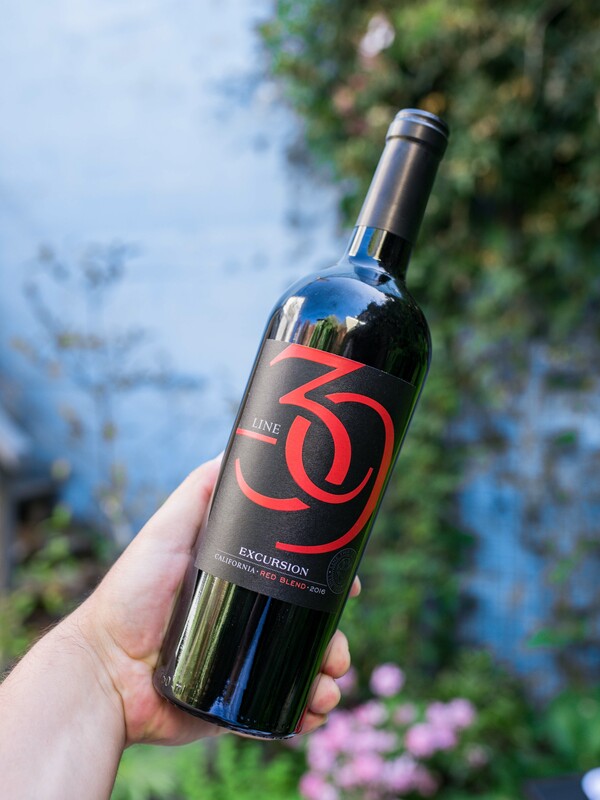 Line 39 Wine is seriously the only ones you’ll need to start blowing people away at your next backyard BBQ. It makes going out and buying your wine super easy because you know that anything with their label is going to be amazing. 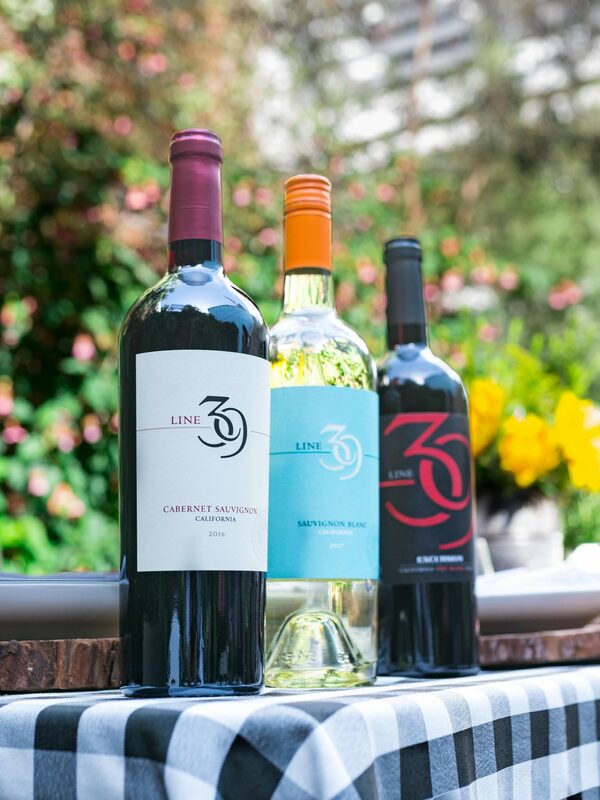 Three of my favorite wines from their eight different types are the Line 39 Sauvignon Blanc, Line 39 Cabernet Sauvignon, and Line 39 Excursion Red Blend. Each one is great for different reasons and various pairings, and I suggest getting one or two of each depending on what food you’ll be serving and the size of your crowd. 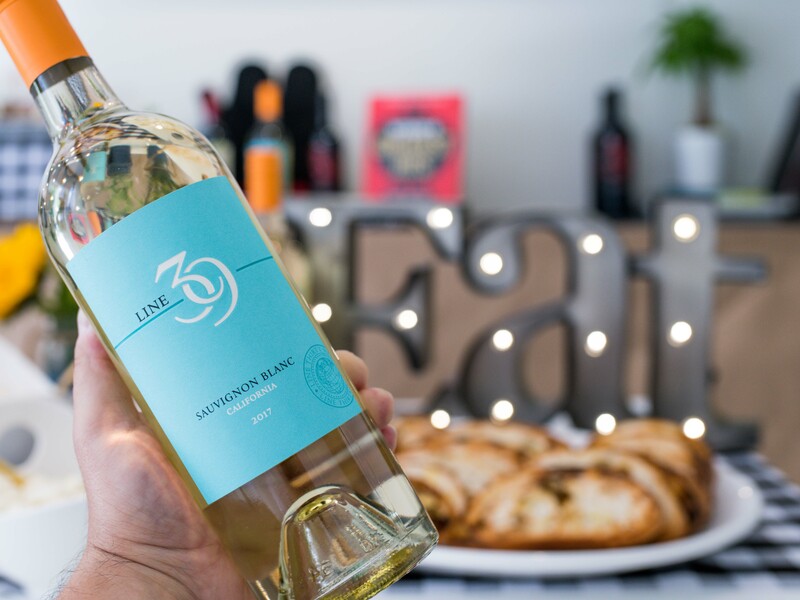 First off, the Line 39 Sauvignon Blanc (above) is a fantastic, light wine that would be perfect to pop open first at your backyard BBQ. It has grapefruit and lemon citrus tones and a clean finish making it super light and refreshing. To go with this wine, you can throw your favorite fish or some chicken on the grill with your preferred seasonings (lemon pepper recommended!) to whip up some quick starters/appetizers and then slice them into bite-sized pieces for your guests to nibble on while chatting it up. Next is my personal favorite – the Line 39 Cabernet Sauvignon (above). This wine is rich and full of flavor. With fruity aromas like currant, blackberry, and ripe plum, along with hints of dark chocolate, it’s rich and smooth, but not overpowering. That’s why this wine is so special. It’s pretty rare to find such a full-bodied wine that complements what its served with rather than dominating it. It goes amazingly well with many of the popular BBQ main courses like burgers, sliders, steaks or filets. I’d pick up a couple of these if you can because it’s really good! Last, but not least, is the Line 39 Excursion Red Blend (above). With aromas of blackberry jam, ripe raspberries, mocha, and warm toasted oak, and with a palate of plum, dark chocolate, sweet vanilla, and spice, this is the perfect wine to accompany any food on the sweeter side. The wine itself is actually the sweetest of the three in my opinion. 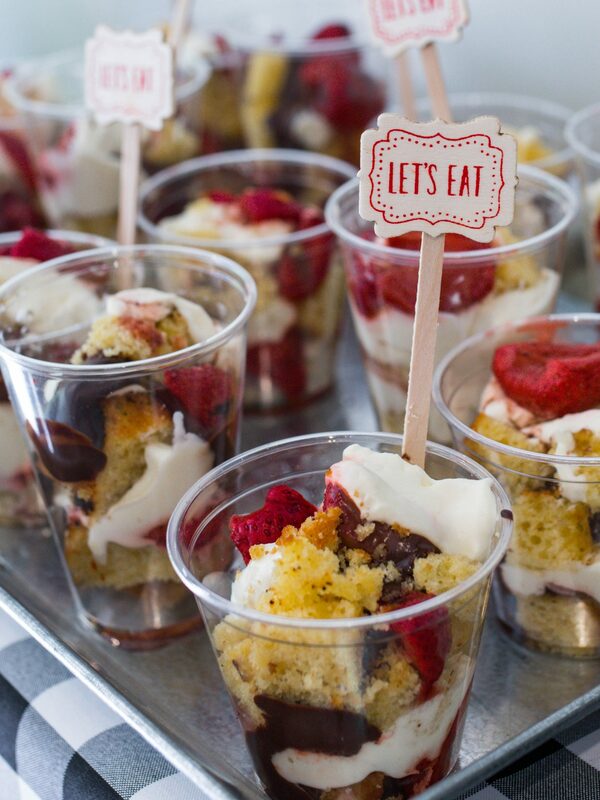 It would pair well with dishes like Sweet Texas BBQ, rack of lamb, or grilled strawberries. It’s an outstanding companion to desserts, too, especially those with dark chocolate, so even if you’re not serving sweet and tangy BBQ, you should definitely pick up at least one bottle for dessert. Those three wines will be a huge part of creating that special, memorable experience for your guests at your next backyard BBQ, and considering the amazing quality and taste, it blows my mind that they’re just about $11 per bottle. Talk about an incredible value! It’s no wonder they consistently win Best Buy ratings and accolades for over-delivering on quality vs. price. Another thing a lot of people don’t think about when putting on a backyard BBQ is ambiance. 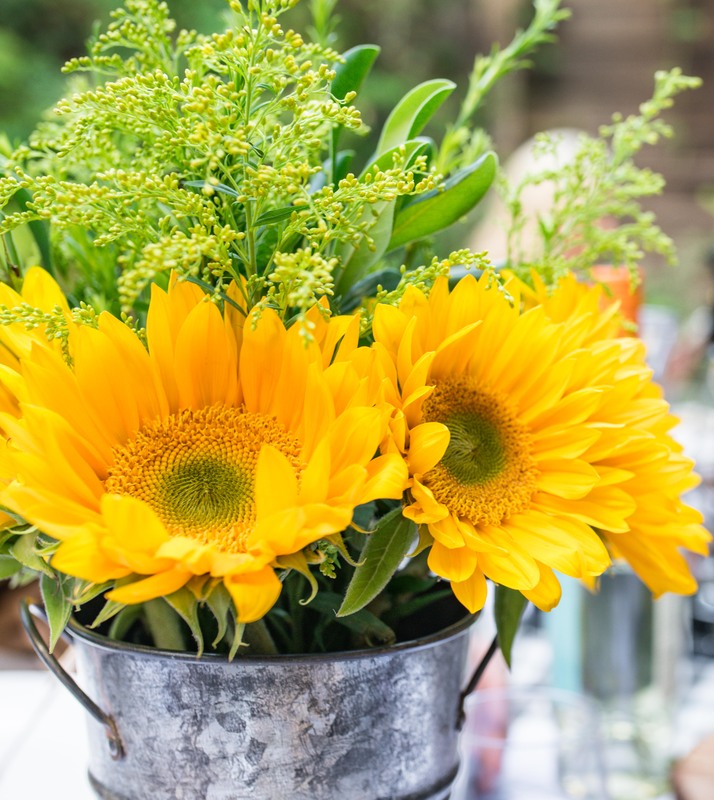 Again, like in a restaurant, decor, table settings, music, heat lamps, and many other things can be used to help add to the overall experience of the gathering. 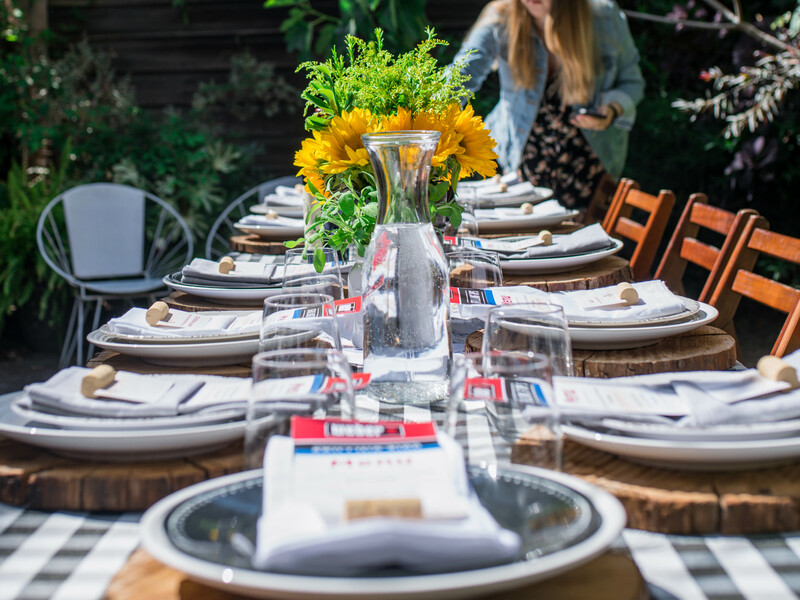 The event with Line 39 Wine and Weber® Grills was such a wonderful example of this. If you look at the images above and below, you can see that not only was there attention to detail in the table setting (vibrant flowers, tree trunk chargers, matching plates and table cloth, etc. ), but also the walls were lined with green plants, ivy, and flowers, which exuded a serenity that made me almost forget I was right in the middle of a busy city. Just to give you an idea of where we were – the freeway was literally across the street and there was a huge billboard above our heads that was facing it. That’s the power of creating an ambiance. 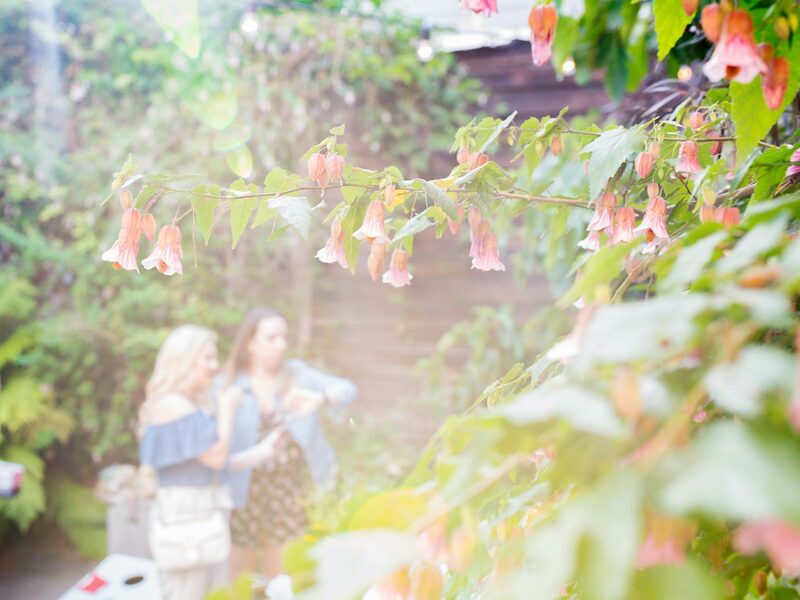 Now, I’m definitely not demanding that you go out and buy expensive heat lamps and start growing ivy across all your fences, but just think about the vibe you want to give off, and go find some simple ways to create your desired experience. Weber® Q 1200 Portable Gas Grill Sweepstakes with Line 39 Wine! At the barbecue, there was a Weber® Q 1200 portable gas grill giveaway and unfortunately I didn’t win, BUT there’s a chance that you can win one! Line 39 Wine is teaming up with Weber® Grills for a totally awesome summer sweepstakes, so check out line39bbq.com or text BBQ to 797979 for your chance to win a grill for all your outdoor adventures and backyard barbecues. To learn more, head to line39wines.com/sweeps for official rules and look for displays in stores. Hopefully this gives you a good launching pad for making your next backyard BBQ one for the books! And definitely give Line 39 Wine a try if you haven’t already, because I think you’ll love them from the first sip. Here’s to the start of an amazing summer. Till next time, Nomsters! This is a sponsored post written by Nomtastic Foods on behalf of Line 39 Wine. Previous Post United Tastes of America: Washington D.C.